Grr! Wash your car with grizzly suds! The Chemical Guys Bear Claw Car Wash Mitt is the meanest wash tool on dirt and grime, but ultra-soft on paint and shine. 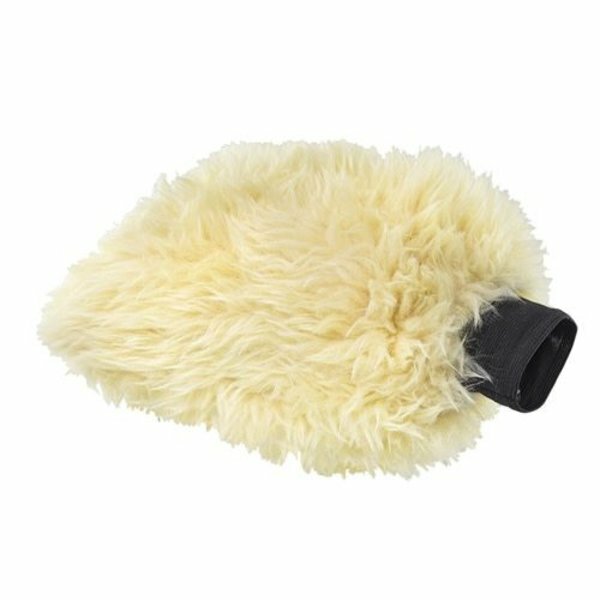 The Bear Claw Car Wash Mitt uses ultra-plush scratch-resistant synthetic fur to hold tons of water and suds, and carry away dirt and debris. The thick woolly mitt traps dirt and grime deep in the fur and prevents swirls and scratches. The massive plush mitt holds over five-times its weight in soap and water, requiring fewer trips to the bucket for a faster washing experience. The premium synthetic wool is ultra-soft, scratch-resistant, and machine-washable for easy maintenance. Pair the Bear Claw Car Wash Mitt with any premium Chemical Guys car wash soap for a sudsy scratch-free wash for enhanced shine and glow. 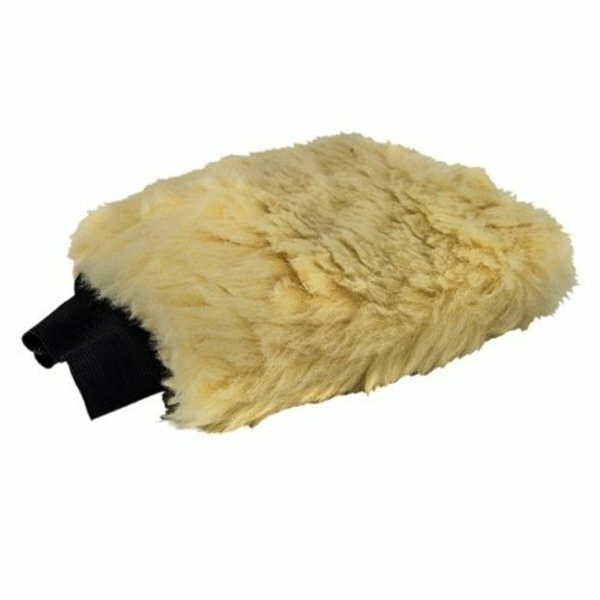 Take down the grizzliest dirt and grime with the soft fur of the Bear Claw Car Wash Mitt. Bargain-bin wash mitts are made with cheap materials that scratch paintwork. Low grade mitts are poorly made and do not hold a lot of water or soapy suds. The Chemical Guys Bear Claw Car Wash Mitt is made with thick, plush, super-soft high grade synthetic fur. This fine wash mitt holds five-times its weight in water and suds for plenty of lubrication across any sensitive automotive surface. The thick weave of the synthetic fur lifts and traps abrasive dirt and contamination deep within the plush fibers away from sensitive paintwork. The Bear Claw Car Wash Mitt drastically reduces the chances of scratching and swirling paintwork during regular washes. Use the Bear Claw Mitt in any two bucket wash, or in conjunction with a foam cannon or foam gun for extra protection against swirls and scratches. Clean, shine, and protect your car as you wash with the Chemical Guys Bear Claw Car Wash Mitt. The Bear Claw Car Wash Mitt holds tons of soapy suds for a scratch-free wash on any car. Low-grade wash pads and mitts do not absorb high volumes of water, and are not plush enough for scratch-free detailing. Wash mediums like cheap sponges and low-grade pads have nowhere for dirt and debris to go, so they simply push dirt around like rough sandpaper on paintwork. The plush Chemical Guys Bear Claw Car Wash Mitt holds tons of soap and water to lift and lubricate dirt and debris, then traps it deep within the soft synthetic fur. Keep washed-off dirt away from paintwork for a scratch-free wash experience time after time. Use the two bucket wash method to rinse embedded dirt and debris from the wash mitt before returning to the soap bucket for another pass over the vehicle. Choose the Chemical Guys Bear Claw Car Wash Mitt for a scratch-free wash every time. The Bear Claw Car Wash Mitt is made with durable synthetic materials for years of detailing use. Traditional lambswool mitts shed fur and fibers all over the car during a wash, cost 3 - 5 times the price of synthetic wash mitts, and only last a few washes. The Chemical Guys Bear Claw Car Wash Mitt is made with durable synthetic materials that last for years, and stay soft for scratch-free washing and detailing use. The synthetic wool of the Bear Claw Car Wash Mitt stays plush and soft, and traps and holds dirt after it lifts and separates it from the surface of the vehicle. Trapping dirt within the mitt keeps it from rubbing across the paintwork, and reduces the chances of scratching paint over time. The durable elastic cuff is double stitched for maximum comfort and grip through soapy water, and will not come undone like cheaper wash mitt cuffs. Choose the only mitt tough enough to claw through dirt, grime with a scratch-free shine: the Chemical Guys Bear Claw Car Wash Mitt. Be sure to use this mitt with any of our premium car washes to make your car look like new again!